Run 4 a Reason was born in 2012 with the emphasis of bringing ultra running and trail races to the greater Savannah area and, to give back to the community and other worthy causes. Since October 2012 R4R|Rough Runners has so far raised and distributed $28,282.50 to worthy causes. $309 raised and donated to Rogue Rescue from the proceeds of Rogue Resolution Fatass 50k/25k on January 14, 2017. $300 paid to Taylor Visual Design for “wildlife” art to be installed at the McQueen’s Island Historical Trail in 2017. $2667 paid to Fossil Industries Inc for trail signs to be installed on the McQueen’s Island Historical trail in 2016. $1575.50 donated on behalf of the Savannah Running Community in 2016 for the purchase of signs that will be installed on the McQueen’s Island Historical Trail (Rails to Trails). $75 donated to Girls on the Run on behalf of Ryan Smith, winner of the Run thru the Woods 10k in 2015. $1500 donated to Mission on the Move from proceeds of RH Armadillo Broil 25k 50k on August 22, 2015. $250 were donated to the Roberd’s Dairy Farm on May 25, 2015 on behalf of the Savannah Grit 175k stage race. $165 were raised and donated to Liam’s Land on May 4, 2015 on behalf of the Coast Georgia Greenway 155 Mile Run. Thank you to all who supported this personal challenge! $2600 were raised with the 2015 Ledesma Sports Medicine Savannah Rails to Trails Ultra. This revenue was used for the purchase of signs that will be placed at the mid-point, ft. pulaski trail juncture, and mile marker trail signs. $1500.00 were raised and donated to Liam’s Land from the proceeds of Chase the Sun Ultra and Relay on September 20, 2014. $1500.00 were raised by runners and donated to Challenged Athlete’s Foundation (CAF) from proceeds of Great Savannah Endurance Challenge 24 Hour Ultra. $10,000.00: were raised and donated to Chatham County for helping with the costs of restoring the McQueen’s Island Historical Trail through the Ledesma Sports Medicine Rails to Trails 50k Ultra January 12, 2013. $3500.00: were raised and donated to Liam’s Land from the proceeds of Chase the Sun Ultra and Relay on September 21, 2013. R4R has adopted the name Rough Runners in a nod to our country’s 26th POTUS and his tireless work in preserving our natural treasures, fighting against the greed of corporate monopolies and just being a total badass his entire life. His legacy to our country is a tremendously rich one. Next time you step foot on a national park or a protected forest remember that Teddy Roosevelt was a powerful lone voice long ago that encouraged Americans to revere and protect these precious wild places we have. Through his Rough Riders he proved himself a tough, tireless leader that rode out with his men into battle. 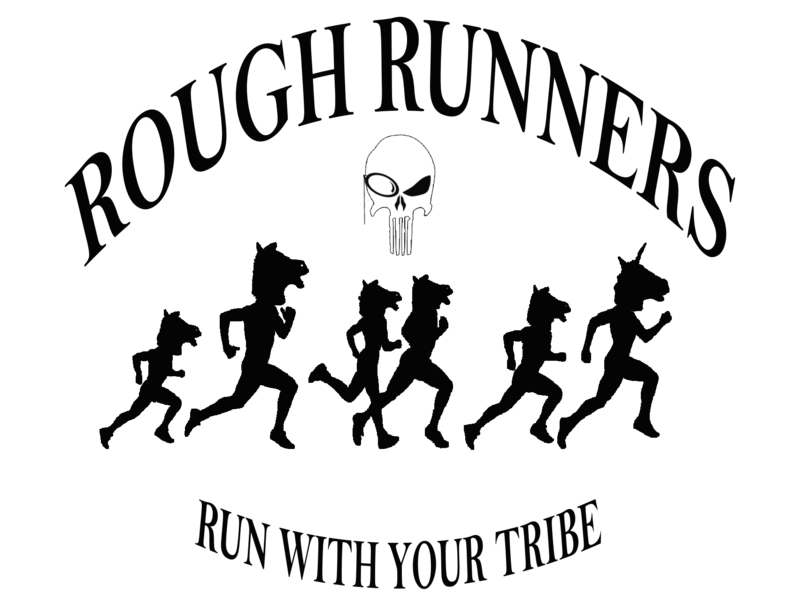 Rough Runners wants to harness that spirit of the tough, tireless fighter always pushing forward. Thank you all for being a part of what makes running great and, for running for a reason!